WONDERFUL OLYMPIAD Just as chess fans all over the world were excited by the goings-on at the recent Chess Olympics, so were the staff at Chess Informant excited at the prospect of preparing for readers a Midnight Sun edition, primarily devoted to reporting on this same gigantic sporting event. The aptly named ‘Tournament of All Nations’ took place in the Norwegian city of Tromso, situated within the Arctic Circle, and, perhaps inspired by the spirit of the northern lights, our authors, most of them Olympiad participants, sent us bright games, brilliant ideas and breathtaking insights from this wonderful eleven round competition. MAGNIFICENT SEVEN Where Great Minds Meet is a collection of 24 deeply annotated games – encounters that attracted the attention of our ‘Magnificent Seven’: GM Sarunas Sulskis, 1st board of Lithuania, GM Rafael Leitao, 1st board of Brazil, GM Julio Sadorra, 1st board of Philippines, GM Bassem Amin, 1st board of Egypt, GM Aleksandar Colovic, 2nd board of Macedonia, GM Nikola Sedlak, gold medallist on the 4th board of Serbia and GM Emanuel Berg, 5th board of Sweden. And no, it’s not a coincidence that Informant 121 includes perspectives on the Olympiad from representatives of five continents, gathered together in harmony in full accord with the FIDE motto Gens Una Sumus (‘We are one family’). 7/7 - A STAR IS BORN American GM Sam Shankland was most definitely one of the Tromso Chess Olympiad’s sporting heroes! His opening sprint of 7 wins out of 7 games, so reminiscent of his fellow-American, the late and great Bobby Fischer, was really something extra special and in fact caused a big sensation in the playing hall. A star is born! Sam duly won the gold medal for best individual performance on Board 5 but even more than that, with a final tally of 9/10 he claimed the highest percentage result of the entire Olympiad. Then, before going back home to San Francisco, the modest 22 year old grandmaster was a guest of Chess Informant in Belgrade where he also played in rapid and blitz tournaments held under our auspices. Now, in the pages of this Informant, you can read his own inside story of how he made 7/7 – and then 9/10! WESLEY'S US TEAM DIARY Another exclusive column in Informant 121 is the Olympiad Diary by GM Wesley So, the team coach for the United States, Though Wesley is ranked 12th in the world, because of the rules and regulations for changing his federation from the Philippines to the USA, where he now lives, he was not yet eligible for inclusion as a player in the American team. However, instead he accepted our invitation to lead Informant readers, round by round, behind the curtain, past the disappointments and defeats and on to the aspirations and achievements of the American players. This was quite an unusual role for such a high class player, who will in the near future, together with Sam Shankland and Ray Robson, undoubtedly provide a younger look to the team of his newly adopted country. DEMYSTIFIYING MAGNUS'S PLAY In 2014, World Champion Magnus Carlsen completed a hat-trick of world titles by winning both the Rapid and Blitz tournaments in Dubai, adding them to the FIDE World Championship match he won last year against Vishy Anand. Our regular columnist, young GM Alexander Ipatov (Olympiad board 2 of the Turkish team), was among the participants in Dubai but also watched closely and tried to demystify Carlsen’s apparent ease of play. LADIES PLAY FAST AND FURIOUS CHESS TOO! Ladies play fast and furious chess too, don’t they? 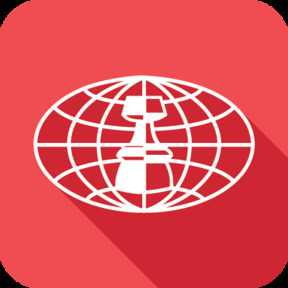 Women’s world titles in rapid and blitz were claimed by Katerina Lagno and Anna Muzychuk at the World Championships in Khanty-Mansiysk this year. Our new columnist, GM Ketevan Arakhamia-Grant (Olympiad Board 1 of Scotland’s ladies team), has annotated key games from Siberia. Thanks to her great experience, by means of many examples taken from fast play she is able to identify what kind of preparation and what other necessary skills will enable players to be successful in these brief chess encounters, which seem to be more prevalent than ever in today’s chess environment. SICILIAN C3 PART III Part 3 of the Building your Repertoire series, by Greek GM Vasilios Kotronias, well known chess theoretician and author, and the trainer who helped Topalov, Shirov and Short to reach their peak performances, is dedicated to the Alapin Sicilian with 2.c3. 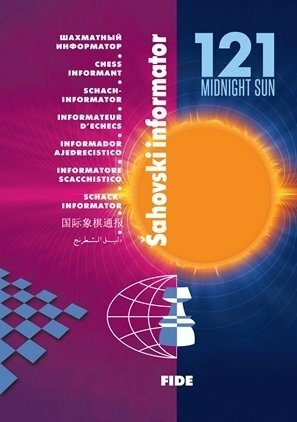 Only in Chess Informant are you getting a book within a book! TRADITIONAL GAMES SECTION In the traditional ‘Games’ section with its non-verbal annotations, you will find about 200 games from ECO A to ECO E, analysed by numerous contributors or our in-house grandmaster team.